Marsha has been going hard with me since the CurlyNikki presents Kim Coles GOC! So happy to see my Blog Buddy (trying to coin a new term;) back for GOC: The Sequel! 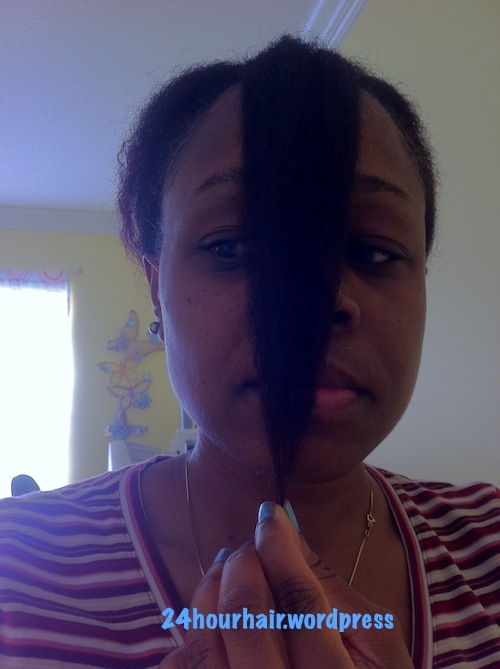 It’s here once again…the GOC (Grow Out Challenge) by Hairscapades, which runs from April to September. This is my hair challenge entry and continuation from GOC Part Uno. So, to start off, I straightened my hair and did a trim. Not the best flat ironing, because my hair was still quite poofy. My slowest growing spots are my bang area and my crown (on a comeback from a setback). I can’t seem to get my bang hair to grow much past my chin. Continue using Terressentials Mud Wash every wash day. 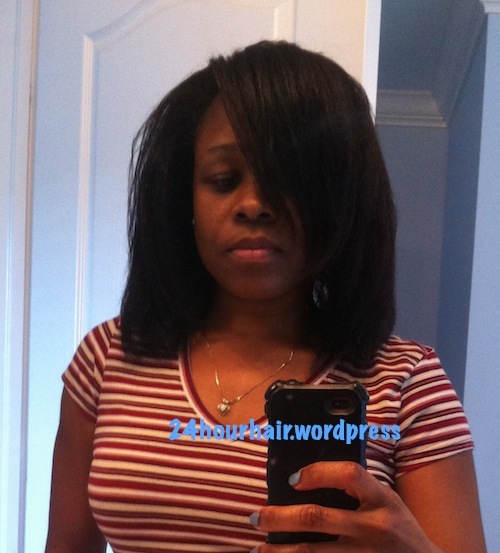 My wash days usually varies depending on the condition of my hair and mood. I prefer washing every 4 to 7 days. When my mood changes, it might be less. Then again, it might change now since the TMW experiment. We shall see…. Limit heat as much as possible. Incorporating more tension method blow-outs (cool settings) for the stretched look (I hate the shrink beast). 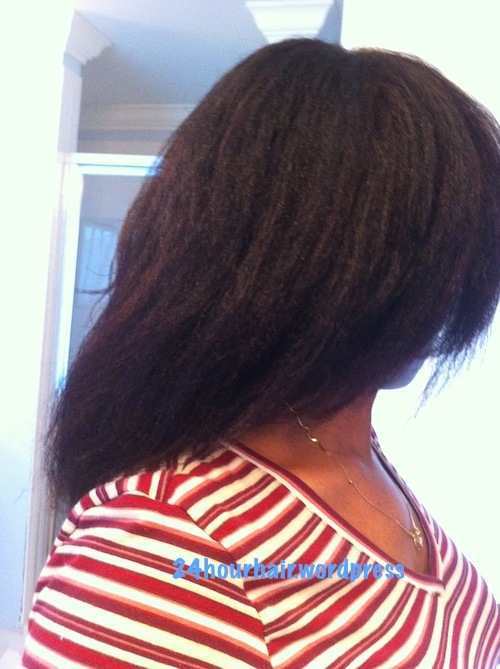 Abstain from using the flat-iron again until completion of challenge. Avoid high ponytails and hairstyles that put too much tension on my hairline/edges. Deep condition 1-2 times a month. Finally, not stressing over my hair (LOL, that’s a challenge on its own). Trimming as needed, doing search and destroy method (split ends and single strand knots aren’t my friend). Reward: Not sure yet. Actually scratch that; growth, health and growth shall be my reward. Marsha, The peeps at TS say you can wash your hair with the mud wash according to your normal routine! Just thought you should know 😀 Good luck.